The DLC is pleased to release the final version of Technical Requirements Version 4.3. 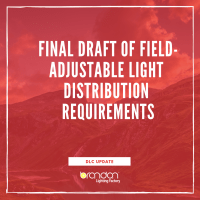 This Technical Requirements update consists of policies for new categories of solid-state lighting (SSL) products, including color-tunable products, field-adjustable products, and 3-foot, 8-foot, and 2G11 base lamps. These revisions will be added to the Technical Requirements as Version 4.3 with an effective date of Monday, March 26, 2018. Version 4.3 of the DLC application form is now available on the DLC Application Instructions pages for Single Product, Family Grouping, Private Label, and Product Update applications. This form must be used for any applications submitted after 9:00am ET on March 26, 2018. Uploading a different version of the application form after 9:00am ET on March 26 will result in an upload error. Please be sure to use the current version (V4.2) of the application form until 9:00am ET on March 26. These are the final DLC requirements resulting from proposals that were first released for comment in October 2017, and released for a second round of comments in February 2017. Color-tunable lighting is a relatively new lighting system capability where the color of a light source can be changed or tuned to end user preferences. The DLC has implemented new Testing and Reporting Requirements that enable high-quality, energy-efficient, color-tunable products to be qualified and listed on the DLC SSL Qualified Products List (DLC SSL QPL). Color-tunable products are defined by the requirements as products whose Correlated Color Temperature (CCT) can be adjusted via an input control of any type and whose light output provides white light at all input configurations. The requirements include policies for both White-Tunable and Warm-Dimming products. 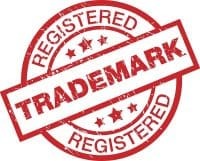 Saturated, or full color-tunable products are outside the scope of these requirements and are presently ineligible for listing. The current DLC dimming policy has been expanded to allow products with field-adjustable lumen output to be listed on the DLC SSL QPL and has been revised to include an updated definition of continuous dimming. The lumen output of field-adjustable products can be adjusted by the manufacturer, distributor, installer, or commissioning agent before or during installation or commissioning. This allows manufacturers and distributors to capture greater economies of scale and stock fewer SKUs, reducing manufacturing and distribution costs while providing customers greater flexibility. The V4.3 Testing and Reporting Requirements prescribe that field-adjustable products will be tested at the default setting, as well as the highest power setting, if different from the default. The DLC has updated the replacement lamp product category with new Testing and Reporting Requirements that enable 3-foot and 8-foot linear replacement lamps, and 2G11-base LED replacement lamps, to be qualified and listed on the DLC SSL QPL. Including these lamps will facilitate efficiency program rebates and incentives to be paid on high quality and energy efficient LED replacement lamps in more applications, such as 3-and 8-foot commercial strip fixtures and 2×2 luminaires designed for lamps with a 2G11 base, also known as T5 twin-tube compact fluorescent lamps and trade names PLL and Biax.